Please go to the website for character description. We look forward to seeing you at the auditions. Company Theatre auditions are open to everyone and we love to see new faces in our productions. If you're new to Auckland and looking for a theatre club to join, come and see us. If you can’t make the audition date, let us know and we will try to accommodate you on another day. This play to quote ATC is about "discovering the ways of a new country, accepting differences, finding love and dancing your way to happiness. A group of laid back North Shore retirees confront the strict discipline of a Russian folk dancing class. This is classic Hall - incisive, funny and full of compassion." 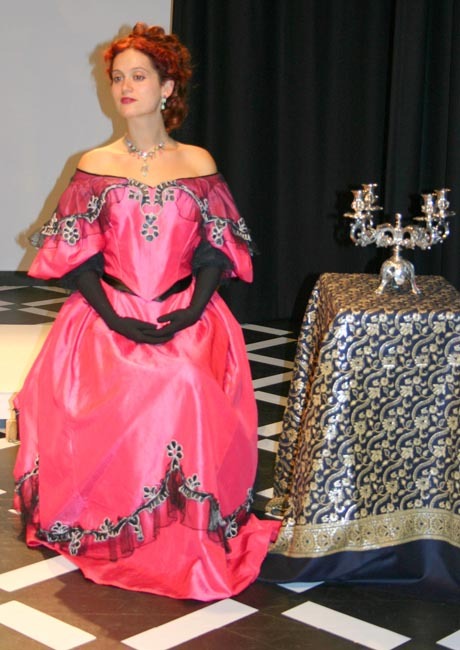 Lara Simo, in a magnificent costume, created by Cathie Sandy is seated on a spectacular floor designed by Caroline Parker, next to props found by Doreen and Fred Gould, against a backdrop and set designed by Anne Rimmer, with lights by Sam Mence, in a pose directed by Steven Arnold. 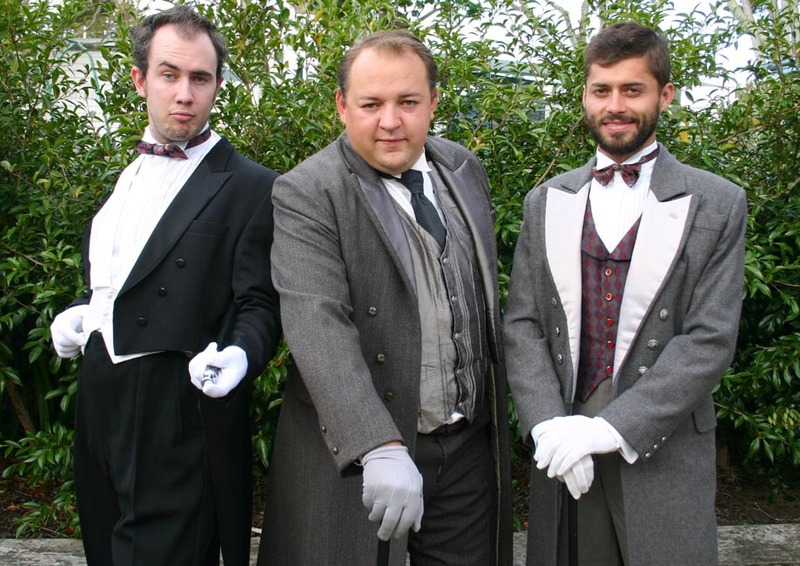 from left to right....Peter Dodds, Paul Roukchan and Reuben Turner. 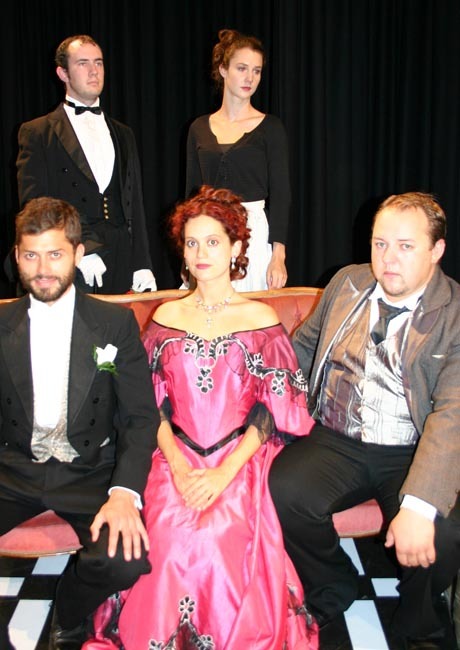 The play is set in 1895, London, but has relevance today. After ‘The Importance of Being Earnest’, this is Wilde’s second most popular play. 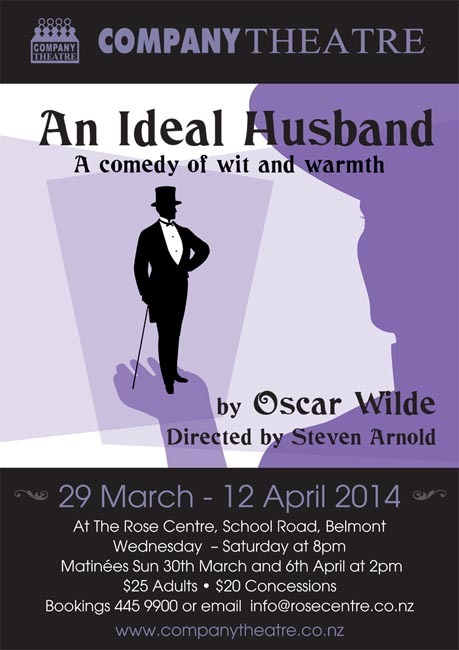 ‘An Ideal Husband’ poses questions around political power. What drives politicians to make the decisions they do? What happens when politicians fall from grace? Are they ever forgiven? Sooner or later," Wilde says, "we shall all have to pay for what we do”. There are current examples in New Zealand of politicians who lead a public life, and become responsible to a media driven public curiosity. 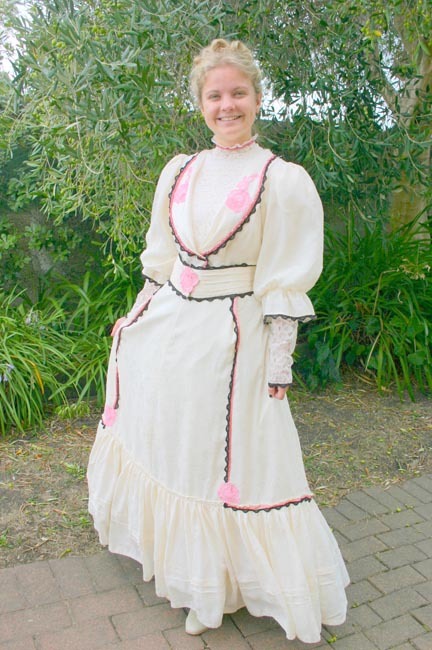 What has changed – if anything – since late Victorian times? Back Row: Peter Dodds, Amelia Noble. This is classic theatre with wonderful, eloquent, dialogue; witty expressions, humorous jibes on society and morality, detailed plots and sub plots - and all from the acclaimed writing of Oscar Wilde. The production is a feast for the ears and also the eyes. Performances Wed - Saturday at 8pm. NB This production starts at 8.00pm.There is one interval at 9.30 and finishes around 11pm. At the recent AGM, Company voted to make Membership for 2014 free. If you are happy to just receive our news, and updates on shows, in the form of this newsletter - you need do nothing more! You are registered for that. But if you'd like to be a MEMBER of Company theatre, and the benefits that bestows, we ask that you simply register on line - SEE MEMBERSHIP Page on the website. The benefits of Membership are explained on the Membership page. If you are interested in directing for us in 2015, now is the time to email us. We welcome your inquiry.